The winter months can be especially hard on kids who are stuck inside. Boredom levels can go through the roof, and quickly, when it’s too cold or rainy to play outside. Moms are more likely to lose their marbles when bored toddlers who need an outlet aren’t able to burn off that energy. Luckily, we’ve partnered with Antsy Pants to share some fun and easy ways to keep your kiddos entertained indoors! Antsy Pants Build & Play Kits are the perfect toy to ignite your child’s creativity and keep them entertained for hours. I love these play kits because they are designed to let kids’ imaginations take the lead. The kits are easy to use (with color coded poles and connectors) and encourage families to build and play together. As a mom, I love their play kits because I can easily put them together and then just as easily take them apart and store them when they’re not being used. This is why we have chosen their kits as our January Product of the Month! You can find them at Target stores (yet another reason to love Target, am I right?). 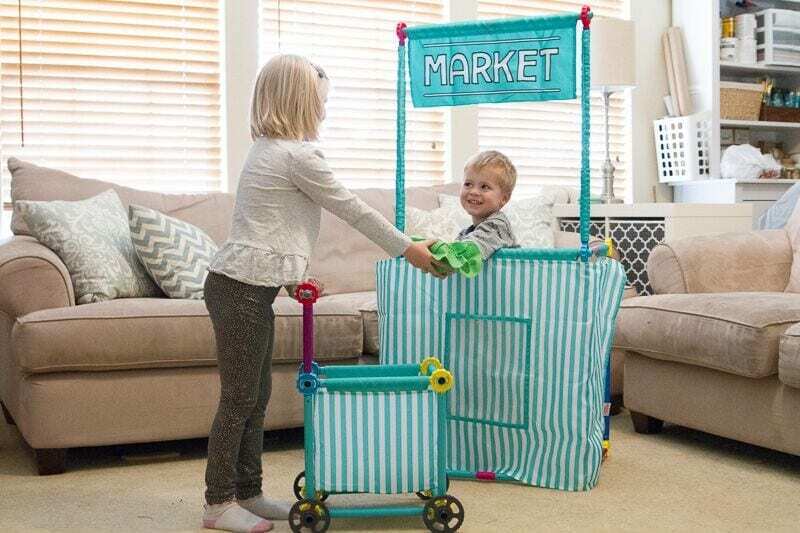 My kids especially love to play “grocery store” with the Antsy Pants Market Stand Kit and Shopping Cart. They set up all of the food and take turns being the grocer and the shopper! I love that they’re developing their social skills and practicing taking turns. 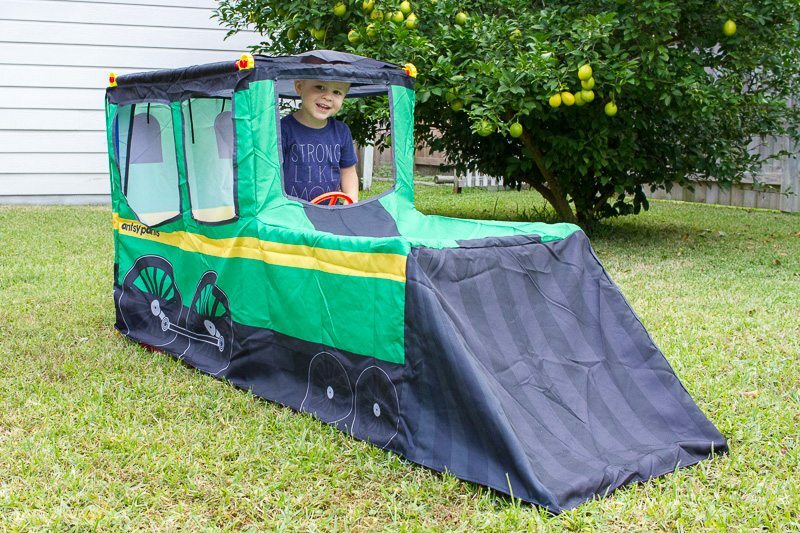 My son has the train kit that he absolutely adores, but it’s one of the larger kits so I don’t keep it out all the time. We will set it up for a few hours of fun and then take it back down when the kids are ready to move on to the next fun thing. 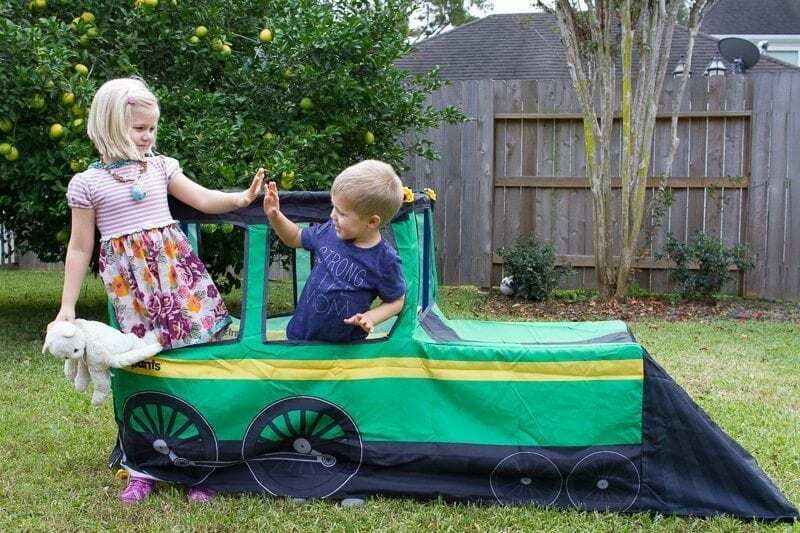 The kids have a blast setting it up, and it’s so easy to break down and put away–a win-win for mom and kids! Combine the Antsy Pants Obstacle Course with other events such as sprints up the stairs, jumping jacks, and tug of war to create your very own family Olympics! Your little ones can help get everything set up and can even color and cut out “medals.” Everyone’s a winner! Moms have been building their bored kids forts since the dawn of time. It is a tried and true method of entertaining children indoors. Let the kids use the foundation of the Antsy Pants Build & Play Kits as their scaffolding to drape blankets and create their own forts! Kids can use their imaginations like crazy in a good fort. Just give them some flashlights and a good fort and you have hours of fun on your hands.